Crystals are beautiful natural phenomenons that hold particular energy based on their chemical compounds. 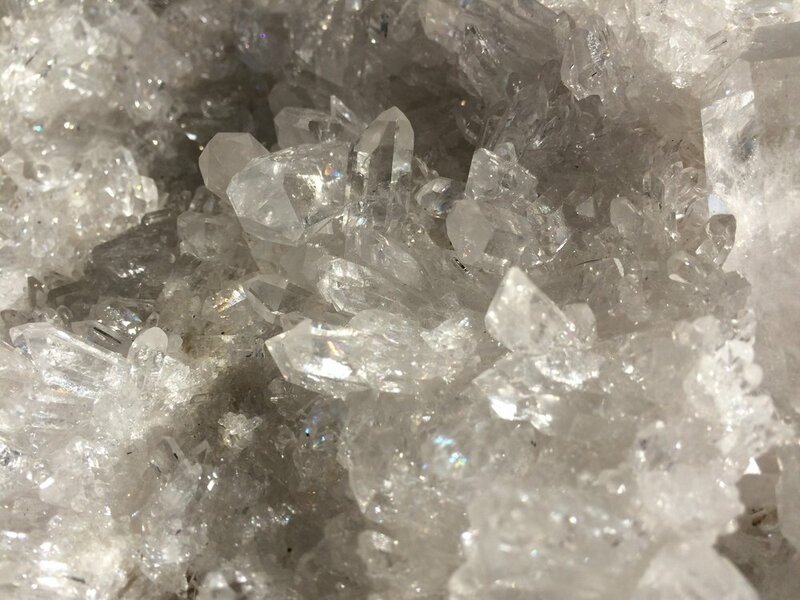 Crystals have been used through the ages for a variety of reasons from fashion to healing. Today we are more widely aware of the energetic healing potential crystals embody than before. The less widely known fact is that crystals are evolving in their potential and energy as the Earth shifts and raises in vibration. What was once said about what clear quartz can do, for example, is a very limited definition. Crystals are evolving beyond their metaphysical definitions that you currently find in books and on the internet. How? As the Earth raises in vibration with each energetic shift (full moons, eclipses, etc. ), the crystals also raise in vibration, expanding their energy and their potential. In a way, crystals are evolving much quicker than we as humans are because they do not have emotional blocks, stuck energy, ego, and limiting though beliefs that can slow down our evolvement. How does LoveLight energy impact crystals? LoveLight is simply an access to pure Divine energy. When Divine energy is infused into the crystals, their evolvement accelerates beyond belief, allowing them to work in their futuristic state. LoveLight allows the crystals to remain clear and work to their fullest potential. They do not need to be cleansed in water or moonlight, and can actually clear other crystals. How do you know what your crystals are doing? Since many people, healers, and crystal workers are unaware of the evolvement of crystals, it can be difficult to find an exact answer. Stay tuned for monthly postings about specific crystals: The Crystal of The Month, to learn more about their evolving potential. For now, allow your mind to let go of any set definitions of your crystals, knowing that they are doing much more than you previously thought! You could be guided to work with crystals you wouldn't have previously thought for a certain intention or healing- just go with it! If you're in the area, you can also attend one of the upcoming Crystal Workshops at The LoveLight Center to learn more!